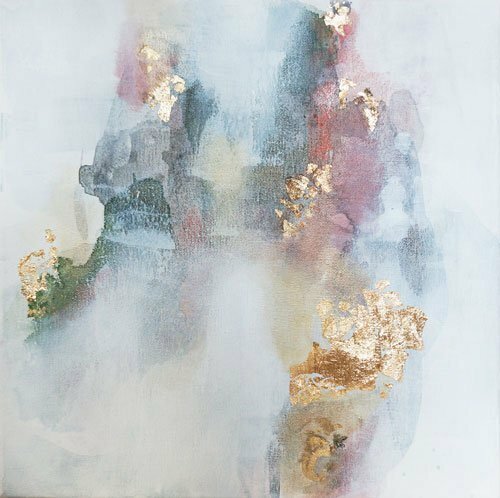 This piece is 12″x12″, acrylic and gold leaf on canvas. This piece comes framed in a gold leaf floater frame and is wired, ready to be hung. The dimensions of the framed piece are 13 ¾ x 13 ¾.